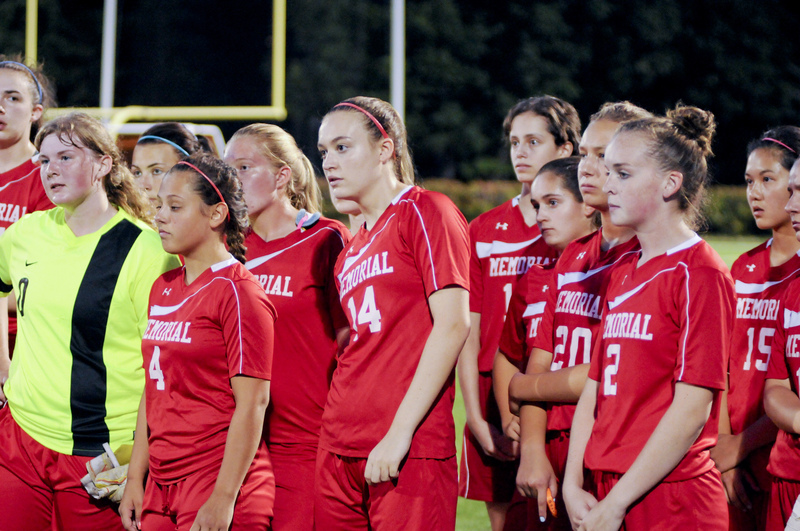 This week in Memorial Girls Soccer, our team faced off against Bedford which resulted in a 6-0 loss on September 8. Memorial went up against Manchester Central later that week on September 12 which resulted in a 7-0 loss. On September 15, they duked it out with Dover which ultimately came to a 1-3 loss. Currently the girls sit at the bottom of the Division 1 standings, but the team looks to improve in the coming weeks as they prepare for Alvirne, Pinkerton, and Winnacunnet for their next three games. I interviewed Junior and Varsity Girls Soccer player Charolette Caron about how the team handled these tough opponents. “During the first half of the Central game, most of the things we learned at practice were not being applied so they started getting into our heads. But at the beginning of the second half, our new coach Joe Silveira pepped us back up to go and play our hearts out. Coach is very much into mental and physical conditioning. The Dover game was especially challenging since they usually end up being one of the top teams in our division. But we did pretty well against them, we scored the first goal, but then they shut us down” Caron stated. I also talked to Captain Morgan Siedel and I asked her what her views are on the new coach. Her responses were all positive, “Coach Silveira is a great guy. He used to coach the Central boys. He is always keeping us working and is very fun to work with. He encourages us to do our best. ‘If you mess up or miss a play, turn it into a new game and learn from your mistake’ is a common phrase heard on and off the field. We actually have a strategy going into the game, instead of just booting the ball and hoping for the best. He’s even brought up some JV players over the past few games to give them some varsity playing time.” I asked both girls what their honest opinion about the new coach was and each think he’s a great addition to the team. As the team awaits their next few games, we will continue to support them and cheer the Memorial Girls Soccer on. Good luck with the rest of the season girls!